Mr. Jesse Cox, MTh, MDiv, is the Director of Campus Ministry at Marygrove College. 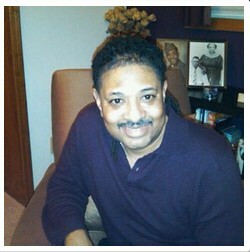 He delivered the following presentation at the February 14 meeting of the new “Faith in Detroit” group comprised of women and men religious committed to social justice in Detroit. An abbreviated version of this thought-provoking statement appeared in the Easter 2015 edition of the SHVM print newsletter The Visitor. This is the full text version – perhaps somewhat long for a typical web posting. Many of us often don’t take the time to read long web articles because we’ve grown accustomed to quick phrases and entertaining photos on our computer screens. But read this article in it’s entirety. It talks to us about facts and issues that form an important part of our lives. I talks to us about change. It talks to us about truth. When I was in the first grade I attended St. Columbanus Catholic School on the Southeast side of Chicago. We were exclusively an African American Catholic bubble because even though the school was staffed by Adrian Dominicans and even though the priests were white as were most of the sisters [we did have one Black sister at our school, Sr. Martin Thomas [Sr. Jamie Phelps]. The parish was predominately Black. In the second grade, when our family moved to be closer to my mother’s family, I helped integrate, unbeknownst to me, Visitation Catholic School on the Southwest side of the city. I wasn’t aware of any problems because children of a certain age don’t see color or make distinctions regarding race. So being the subversive I was I made friends. One boy and I became close friends and we played every day together at recess. His name was Steven Keifer. My birthday is in April and I wanted to invite him and a few of my schoolmates to my birthday party. I remember giving Steven an invitation and the next day he told me he couldn’t come. And when I asked him why he told me his mom just told him no. I remember also telling my mother about my disappointment. I think she already knew the deal, but she told me to ask Steven’s mother if she was willing, my mother would pick him up and also bring him back home again. It sounded reasonable to me. So the next day I walked with Steven back to his house and he ran up the stairs to get his mom and I, from the bottom of the stairs, parroted what my mother had said to me; that she was willing to pick Steven up and drop him off too-if she would give him permission to come to my party. She said no again. And vaguely I remember Steven, from behind his mother shrug his shoulders, as if he didn’t understand as I turned to walk back home. No one from my second grade class attended my birthday party. As close as we were physically – we were worlds apart. This experience shaped my understanding of the issues surrounding racial differences. It also informed my understanding of how Catholics in my neighborhood reacted: flight! Because soon after that, the population of the school changed from an Irish Catholic community to an African American and Latino [mostly Puerto Rican] community. That is my first conscious remembrance of an experience of the suspicion and fear that divided people in my parish. And it was, as I reflect back over my racial history, the first time I knew I was infected by the sin of racism. On the King Center website it states: “The Beloved Community” is a term that was first coined in the early days of the 20th Century by the philosopher-theologian Josiah Royce, who founded the Fellowship of Reconciliation. However, it was Dr. Martin Luther King, Jr., also a member of the Fellowship of Reconciliation, who popularized the term and invested it with a deeper meaning which has captured the imagination of people of goodwill all over the world. It’s a given that we are in the world, but how we are in the world, or better yet, how are we in relationship in the world? That is the key question! It’s very evident that in the United States there seems to be a growing divide between those on one hand who possess power and want to use that power to further their own access to money, influence and an intolerance toward those who disagree with them, especially those of another race, nationality, religion, gender or sexual orientation. Then on the other hand there are those who use their power to break down oppressive, intolerant and self-serving systems. They share power, dismantle unyielding hierarchies and invite the feminine perspective to one sided patriarchies and create room for same gender loving people. Creating the beloved community begins, as the prophet Micah says with “acting justly, loving mercy and to walking humbly with God” It begins with us getting and sharing as the singer Patti LaBelle sang, “A New Attitude!” It is a constant renewal and opening of our minds to ask the question again and again, when decisions are made, when important facts need to be ratified, when rumors or misinformation is shared-before we make a final decision we need to ask “who’s not in the room, who’s missing?” So that when we make a decision that is competent and compassionate it reflects the most inclusive process we can make. Creating the beloved community means admitting the enemy is within and the enemy is within the room. Part of “A New Attitude,” is being honest and open with ourselves. Sometimes we have to admit that we are part of the problem, we are a hindrance to change, and we are blocking the doorway to something new or keeping others out. Another important realization for me is learning to work with and rub elbows with people who I previously might have labeled as my enemy. As long as I’m filled with hatred for another I block the progress for the formation of the Beloved Community [at least in terms of my participation in it!] I am called to live nonviolently and more inclusively in the world. I am encouraged by your group (the “Faith in Detroit” group), by your commitment to having conversations across racial divides, that you are asking and seeking answers to the hard questions, that the status quo is not your benchmark and that you are meeting to be and to give birth to the beloved community in the areas under your influence. I use the ‘giving birth’ metaphor purposefully, because it is painful, risky and your blood, sweat and tears are proof that you are all in. I want to encourage you first to do two things: Listen and Engage. Listen to the voices of those who share with you their holy text-the story of their lives-that tell you how they live in the world and how they are perceived in the world. If the person is of a different race, religion, gender or orientation, don’t be quick to dismiss but hear their experience for what it is – their understanding of the events as they unfolded. Engage the story. Respond to the person’s pain, frustration, hurt, outrage and humiliation. Respond to the person’s laughter, hope, success and enthusiasm. Don’t create an antiseptic environment, one where I can’t be touched for fear of infection. Rather create a place where trust and peace are the pillars supporting the actions of building God’s beloved community. Dr. Beverly Daniel Tatum, in her book Why are all the Black Kids Sitting Together in the Cafeteria? And Other Conversations About Race offers this definition: “Racism is a system of advantages based on race. And equally important, there is no systematic cultural and institutional support or sanction for the racial bigotry of people of color. In my view, reserving the term racist only for behavior committed by Whites in the context of a White-dominated society is a way of acknowledging the ever present power of differential afforded Whites by the cultural and institutions that make up the system of advantage and continue to reinforce notions of White Superiority.” It is akin to me realizing and admitting that I enjoy Male Privilege – simply because society supports and safeguards that privilege for me. Many often have a problem with this definition, because they say, aren’t Black people racist? Don’t they sometimes judge people simply by the color of their skin? And the answer is yes, some Blacks do that. But they don’t have the institutional support or sanctions for their bigotry against Whites. Also when we imply through Dr. Tatum’s definition that all White people are racist or benefit from white privilege, unconsciously what some people infer is “are all White people bad?” Again Dr. Tatum responds, “Definitely not. However, all White people, intentionally or unintentionally, do benefit from racism. A more relevant question is what are White people as individuals doing to interrupt racism? We all know the stereotypes, the hood wearing Klansmen or an Archie Bunker type. But what about the passive actions that allow racism to survive and thrive in our society.” We collude with racism when we allow a racist joke to be told unchecked. We collude with racism when we allow exclusionary hiring practices to go unchallenged. We collude with racism when we accept as appropriate the omission of people of color from the curriculum and we collude with racism when we avoid the difficult race-related issues that confront our times. Because racism is so ingrained in the fabric of American institutions, it is easily self-perpetuating. All that is required to maintain it- is business as usual. The analogy that best helps me wrap my head around this is this model- at most major airports, because the gates are stretched so far apart, they have the ‘moving walkways.’ If you stay on the left [being active] you walk and are conveyed-so you get to your gate faster. Or if you stand to your right [being passive] you can just allow the walkway to do all the work-and you get to your gate but at a more leisurely pace. The question we must ask is “How do we get off the moving walkway?” Because we’re all being transported to a place we don’t want to be-how do we make a conscious choice to move in another direction instead of accepting that it’s going to be business as usual! During the 1960’s it would be a great misperception to believe that Blacks alone accomplished the great strides achieved during the Civil Rights Movement without any outside help. On June 21, 1964, three young civil rights workers—a 21-year-old black Mississippian, James Chaney, and two white New Yorkers, Andrew Goodman, 20, and Michael Schwerner, 24—were murdered near Philadelphia, in Nashoba County, Mississippi. They had been working to register black voters in Mississippi during Freedom Summer and had gone to investigate the burning of a black church. 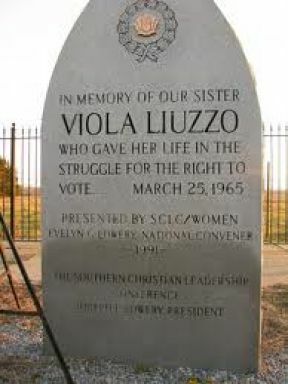 The first white woman killed in the Civil Rights Movement was Viola Liuzzo. Inspired by the efforts of African Americans in the South to obtain the right to vote, she left her home in Detroit and participated in the Selma-to-Montgomery, Alabama March for black voting rights in 1965. While shuttling marchers in her car, she was shot and killed on March 25 by one of the Klansmen in a nearby car. These are just a few examples of how Blacks and Whites collaborated to change the society in which they lived and gave their lives to the struggle for Civil Rights for African Americans. During that time period what were Catholics doing? 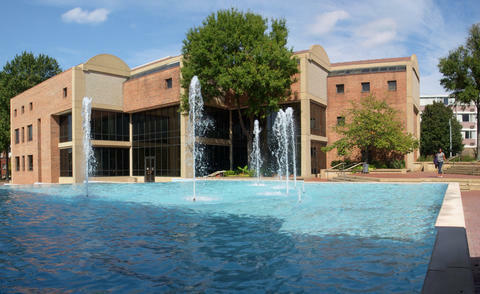 The Catholic University of America has an online history of the American Catholic Experience. Here is an excerpt from the section entitled “Catholics and Civil Rights”. It states, “Catholic support for the civil rights movement was weak in the late 1950s, and only increased slowly in the early 1960s. The American Catholic Church tended to be ambivalent in its support for integration: the bishops generally supported the ideals of equality and racial justice, but were hesitant to take any steps to implement integration in their dioceses. The laity, on the other hand, especially in the South, tended to favor continued segregation. It’s also important to note that in the many protests and rallies, whites and blacks, Protestants, Catholics and Jews are pictured together, marching, riding interstate buses to challenge Jim Crow laws and lending their voices to speak against a system of laws and practices that diminished and skewed the humanity of all. Today, in asking the question of what it means to engage the questions of equality, access to quality education, healthcare and housing for Detroiters, we are again aligning ourselves with those whose voices are often overlooked and undervalued. So the conversations that take place across the racial, gender and orientation divide are invitations to lend our support, privilege, contacts and wisdom. A wisdom that promotes prophetic action to break barriers and stand in solidarity with those just looking for the basic justice that everyone deserves. In the 1960’s the Catholic Church’s support of the Civil Rights Movement was seen as ambivalent, today what can this group of religious women and men do to make a significant impact on a system that oppresses, on structures that ignore, on an education that ill equips, on a prison system that devours our men and devastates our families…in a society that would still rather talk about one another rather than to have significant and life changing conversations with one another…how are you going to provide a different paradigm for conversations and actions for justice in integrated settings as well as in homogeneous settings? 2) Allowing the truth to speak to us through the experiences of others. To live as a member of the Beloved Community means that you and I have to learn how to love another person, their color, gender, orientation, culture and language as much as we love our own, that we dismantle the hierarchy of races, tear down the inequality of the patriarchy, oppose discrimination of same gender loving people and build, through our words and actions, a safe and life sustaining place where the humanity of others is always basis of love and support. I would like to end with a quote from Pierre Teihard de Chardin, S.J. This entry was posted in Uncategorized on March 15, 2015 by shvmblog.